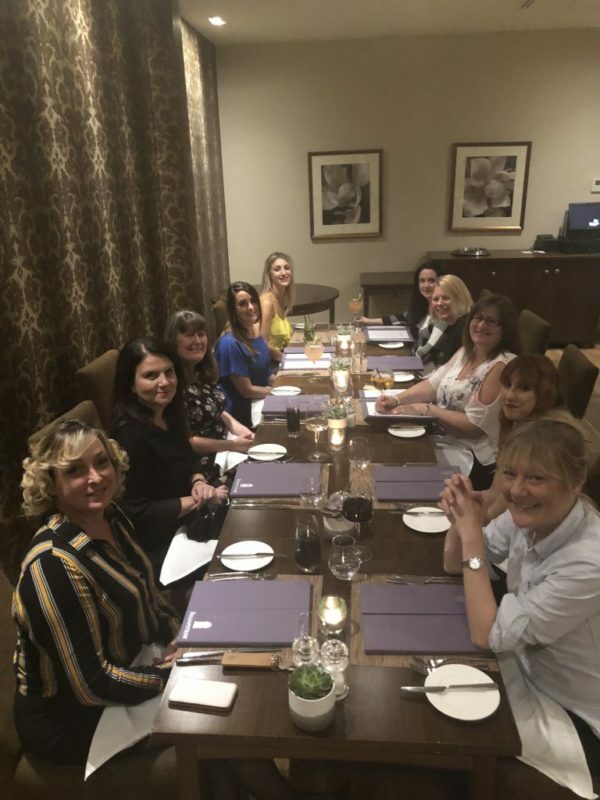 Smith Brothers held their first lady only event sponsored by Lowara on the 4th – 5th October, with staff, suppliers and customers attending a relaxing two days at Bishopstrow Hotel and Spa. It was a great way to celebrate the growing numbers of women joining the industry and SBS. The event started with a light lunch where everyone was able to talk, get to know each other and do the formal introductions. The group then headed to the Spa where they were able to choose between multiple treatments such as: massage, facial, manicure, pedicure…etc… Throughout their stay they also had access to use the Spa facilities like the heated outside pool, where all colleagues were able to unwind and relax while consuming a drink of choice. To finish the evening all enjoyed a three-course meal off the la carte menu in the restaurant where virtually all food was locally sourced and cooked by an award-winning chef. After a night staying at the luxury accommodation, the group met in the morning for breakfast and goodbyes before departing home. The Bishopstrow Hotel and Spa is located in Wiltshire, and has over 27 acres of land, where the river Wyle can be enjoyed. The hotel dates back to 1736, meaning that each room has plenty of period charm and character. Lowara who are a supplier of Smith Brothers, sponsored and attended the event. The company manufactures pumps and drives for the agricultural, building services, commercial and industrial markets. The products offer solutions for water, wastewater, heating, ventilation, air conditioning and fire protection applications. © 2018, Registered Office: Unit V2 Winchester Avenue, Blaby, Leicester. LE8 4GZ | Registration No: 962846 | A Member of Smith Brothers (Leicester) Limited Group.